The quickest & simplest guide to the use of essential oils & aromatherapy for your health and well-being. Essential oils — what are they? 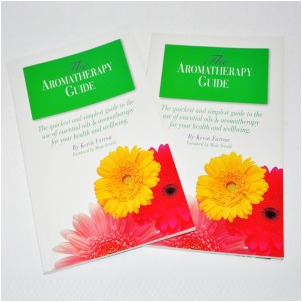 30 Aromatic profiles, Uses & blends,Pregnancy & children, Precautions & carrier oils, plus much more in this compact book. A beautiful gift or a very useful book to have with your oils.